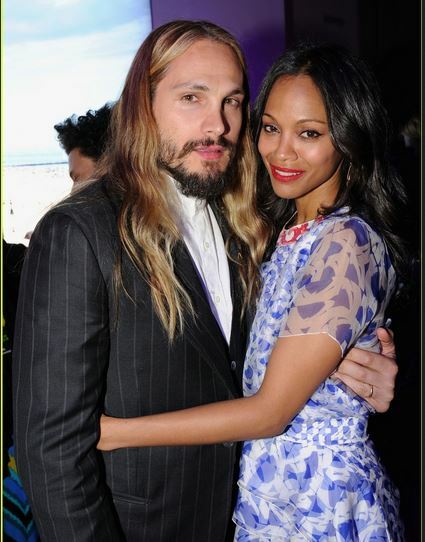 Looks like Zoe Saldana finally did get married, but to Marco Perego an old friend of hers. I would love to think this is just how some friendships turn to love but I am not buying it. I think Marco could be a Handler. Maybe its all the pictures of them right in front of the cameras being so lovey dovey or just that he doesn’t really seem to be into it, just looking at body language. Of course they are friends, my guess is to get her off the market and to focus her on her career they had to marry her off so she can focus on making movies and all that lovely money that leaves to profits for the higher ups. Its really too bad, I guess its what one signs up for when you are an A list celebrity whatever that means. NOTE: I really do hope I am wrong, especially about this marriage. If it makes it another two years I will revise my theory, it took them almost a year to publicly acknowledge their union, maybe that is a good thing. Thanks to JustJared, Wetpaint and PopSugar for the Photos, I am using for reference.